A cross-section of Utah-made chocolates available at Caputo’s Market & Deli. According to market statistics, the Beehive State has the biggest sweet tooth in the country, gobbling more than twice the national candy consumption average. DeAnn Wallin grew up in an LDS household where everything was chocolate. "I don't think I ever had a vanilla cake until I went to other people's houses," she says. But chocolate—the star component—was also one of the few ingredients they bought pre-made. When she began to make candies with her own children, the store-bought chocolate seemed rather lackluster. So, in pursuit of something better, Wallin taught herself to make her own chocolate from raw cacao beans. A few years later, the family hobby went commercial when Salt Lake's master tastemaker, Matt Caputo, CEO of Caputo's Market & Deli, placed an order, and Wallin family chocolate morphed into the award-winning craft manufactory Solstice Chocolate. In the context of America's wider artisan chocolate movement, Utah is essentially a blip on the radar. The Beehive State can claim just more than a half-dozen of the nation's 300-plus artisan chocolate makers. Yet, Utah's young manufacturers are already among the best in the world—locally-produced Amano Artisan Chocolate was the first American manufacturer to win a Gold Award from the international Academy of Chocolate in 2009. Chocolate critics suspect Utah's offerings have a secret weapon up its sleeve: Mormons. Indeed, the vast majority of the state's craft chocolate makers are members of The Church of Jesus Christ of Latter-day Saints. The predominant local faith, combined with other cultural factors, "represents a perfect storm of chocolate," says Ed Seguine, an international chocolate consultant and critic—and, yes, also a Mormon. Mormons already had a longstanding history of candy making, Seguine says. They serve missions in chocolate-growing countries and don't consume other popular luxury foods like wine and coffee. Then came the national rise of artisan chocolate. "The Mormon culture has always prized craftsmanship and being able to do things for yourself," he says. "Consider the fact that you can make fine chocolate in your kitchen—and think about the homemade focus in the LDS population—and you say, 'Duh, this is kind of obvious.'" "There is a cultural aspect," says Lance Brown, who started The Cacao Bean Project in his Sandy basement after watching his wife make homemade Christmas candy dipped in store-bought chocolate. "People are very open to supporting confections and fine foods that are OK to eat in a highly religious population. If I can't geek out on wine, I can have the same experience that wine drinkers are having with chocolate." But if Mormons are making some of the world's best artisan chocolate, they're not buying it. Brown says he sells twice as much chocolate in Salt Lake County than in Mormon-centric Utah County, where customers are far more interested in sugary milk chocolate than in purer dark chocolate, and tend to scoff at Brown's prices. Despite being LDS himself, Brown says, "I don't think my audience is Mormon at all. I don't plan for Mormons. My audience is probably upper-middle-class and above, people who would shop at Whole Foods and Harmons, people who appreciate good food and understand quality ... They probably understand wine, cheese and other fine foods. Those are my people." Brown isn't the only one to notice the discrepancy. Active Latter-day Saints are underrepresented at the Utah Chocolate Society, according to Brian Ruggles, who founded the group in 2010, shortly after he graduated from Brigham Young University. Less than half of the society's current membership identifies as Mormon. While there are a "weird number of LDS people making chocolate," Ruggles says, "there are some things about fine food culture that don't jive with the church." Mormon culture traditionally champions entrepreneurship, self-reliance, handicraft—and sales, of course, but those values also compete against the church's emphasis on frugality. When they have a surplus of money, Mormons will spend it on their children before they spend it on themselves, leaving less for personal indulgence. "Gourmet items can be hard to sell in Utah," Clark Goble, co-founder of Amano Artisan Chocolate, says. "The Mormon element actually makes it a trickier environment." Even with the local faith producing more chocolate makers than connoisseurs, "there are a perfect storm of factors that are contributing to Utah being a mecca of sorts for chocolate," Brown says. Chief among them, he points out, is the fact that local craftsmen found an early champion in Caputo, who was buying and marketing artisan chocolate long before it was a thing. The early success of Amano also helped put Utah on the map. "If left to its own devices, Utah would not have become a chocolate mecca," Brown says. "It's just, our environment has become a great petri dish." 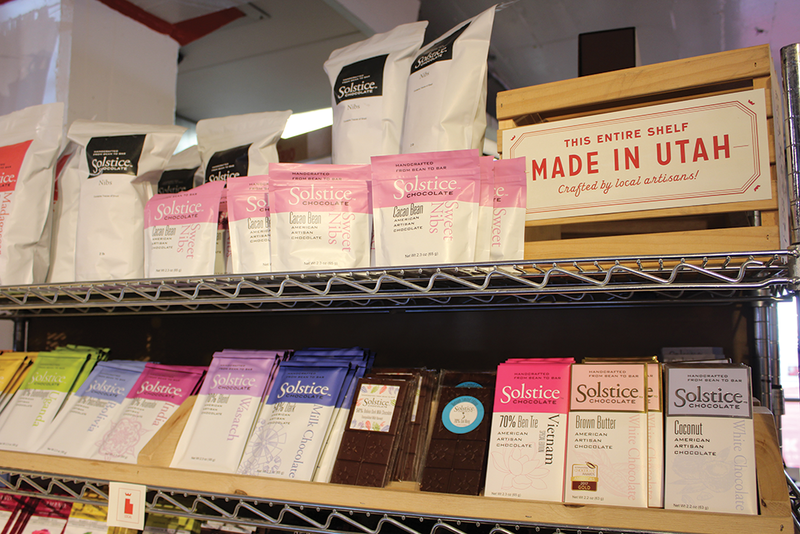 The artisan chocolate movement is strongest, according to Seguine, outside America's major cities. Hubs tend to emerge in smaller metropolitan areas, often with historical ties to agriculture and related industries. But it's not just any small or mid-sized city that's a candidate, Ruggles says—most chocolate hubs tend to be "more hipster" than average, with a strong farm-to-table movement and a hunger for sophistication and the next big trend. Utah's tech culture has also played a role in its fascination with chocolate. Amano was the product of two business partners who had previously worked in the state's software industry. Craftsmen with a background in engineering or chemistry tend to make the best chocolate, Goble says. And Utah's altitude, coupled with its dry climate, might also yield a better-tasting product. "Plus, it's an environment where everyone helps everyone," Goble says. "It's the attitude that everyone is very neighborly here." That friendliness, at least within the local chocolate industry, could be about to change. 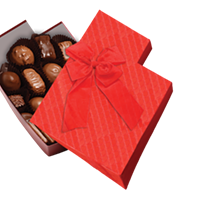 While the chocolate market is growing steadily, Ruggles says, the production is rapidly outstripping demand. That has many industry insiders predicting a nationwide winnowing of craft chocolate manufactories where only the best are expected to survive. Will Utah come out on top? Sequine believes it just might. "I think there is a potential for craft chocolate to catch on sooner than later" he says. "I don't know if it will or not, but I see no impediment to it, and I see some logic that says that could very well take off for them. It's possible that they could lead the way."